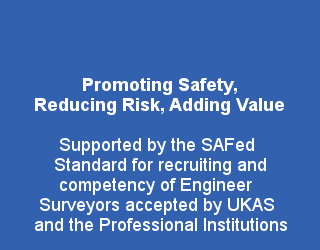 SAFed members operate through the United Kingdom and provide a range of inspection activities where there are legal requirements to do so, e.g. When ‘inspection services’ are provided by a SAFed company, their Engineer Surveyor (also known as the ‘Competent Person’) would make an appointment, confirm availability of the equipment and on arrival provide identification and complete any formal health and safety site requirements. 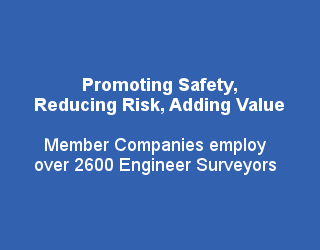 A site risk assessment would be carried out on the equipment, ensuring firstly that it is safe to examine and, secondly, identifying the safety critical parts, considering the type and complexity, risks involved, use, age, condition, servicing state, repairs carried out, environment and other aspects relevant to the continued safety of the equipment. This will determine the scope of inspection, which would include a thorough visual examination of accessible parts of the item, focused on those safety critical components and their potential for failure, mechanical or electrical safety devices designed to protect persons and functional testing as appropriate. Where Engineer Surveyors cannot be assured, for example hidden load bearing components, they may call for additional supplementary tests. These would be more intrusive and normally carried out by the equipment servicing company or specialist testing organisation eg NDT. Defects posing imminent danger to persons and where the equipment should not be used and cessation of work is advised. These defects should be rectified before the item is used again and the Engineer Surveyor will make this clear in his or her report and advise the client/owner at the time of the thorough examination. The inspection is specifically to identify defects which are or may become a danger to persons so that they can be rectified. Ideally these should be rectified as soon as possible, however, some are more important than others and so defects are categorised according to the severity of defect, when they need to be rectified and whether they must be reported to the enforcing authority (In certain cases this is a legal requirement and is required whether the defect is rectified at the time or not.). 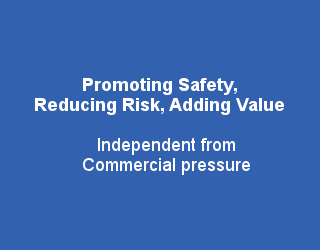 ‘time qualified’ defects have the potential to pose this risk in the foreseeable future. These defects should be rectified as soon as possible but no later than the date specified by the Engineer Surveyor in his or her report. ‘general’ (or ‘other’) defects, which do not pose a serious risk of injury to persons but would normally be advised to the owner and should be rectified as soon as practicable and considered in the risk assessment and control measures implemented for safe working practice. 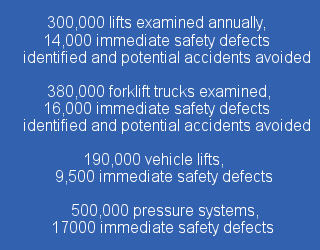 Where there are a number of ‘general’ defects, the combination may pose a more serious risk. ‘General’ defects which are repeated on a succession of examination reports may indicate a poor servicing regime and safety culture and could attract attention from the enforcement authorities and potentially affect insurance conditions. At the end of the inspection, a report is generated (Content of the reports may vary but some reports are statutory and must contain the prescribed information.) giving details of any defects detected, the date of examination, the date of the next examination together with any rectification activity required. 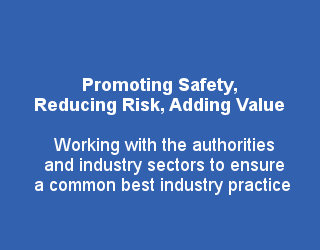 This report is important and should be advised to those responsible, such as management staff, servicing and maintenance staff and inspection personnel. There are specific regulations governing where and for how long such reports must be kept. In particular it should be noted that the first in-service inspection report of equipment installed on-site should be kept for the life of the equipment. 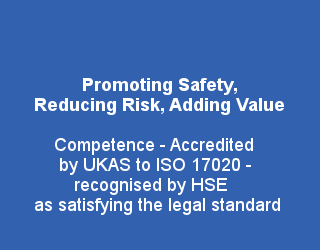 Although examination reports give the equipment condition at the time, the competent person will predict its continued safe use until the next inspection and may make recommendations on use or control measures to reduce risks. It is expected that satisfactory servicing and maintenance will continue and there is no misuse, abuse or unforeseeable exceptional circumstances.